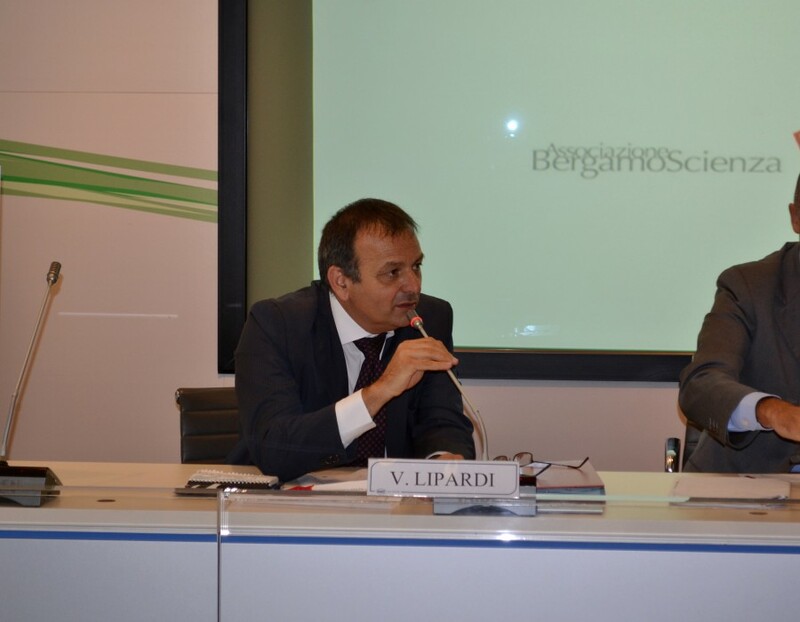 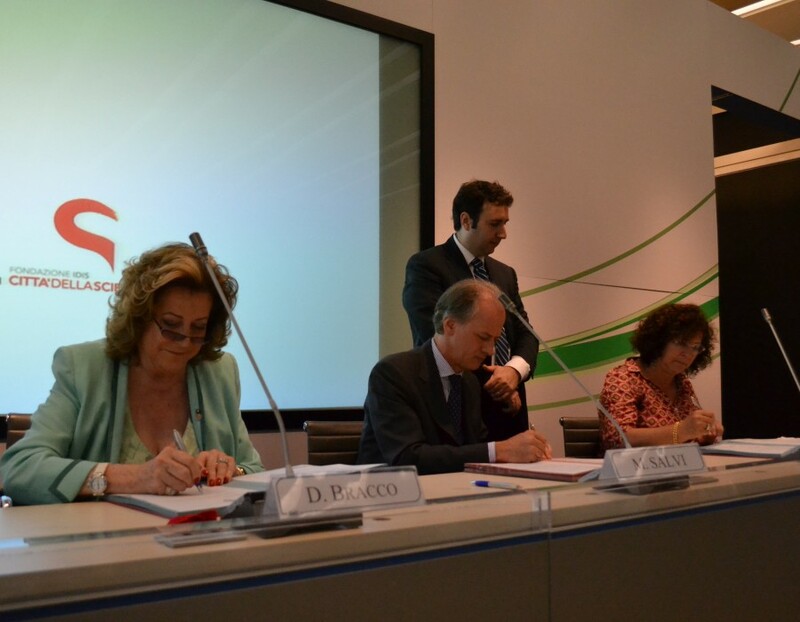 On Friday, July 25, during the press conference held at the Pirelli Building in Milan, Fondazione IDIS-Città della Scienza has signed the Memorandum of Understanding with other two main institutions involved in the dissemination of scientific culture in Italy: BergamoScienza and the Science Festival of Genoa. 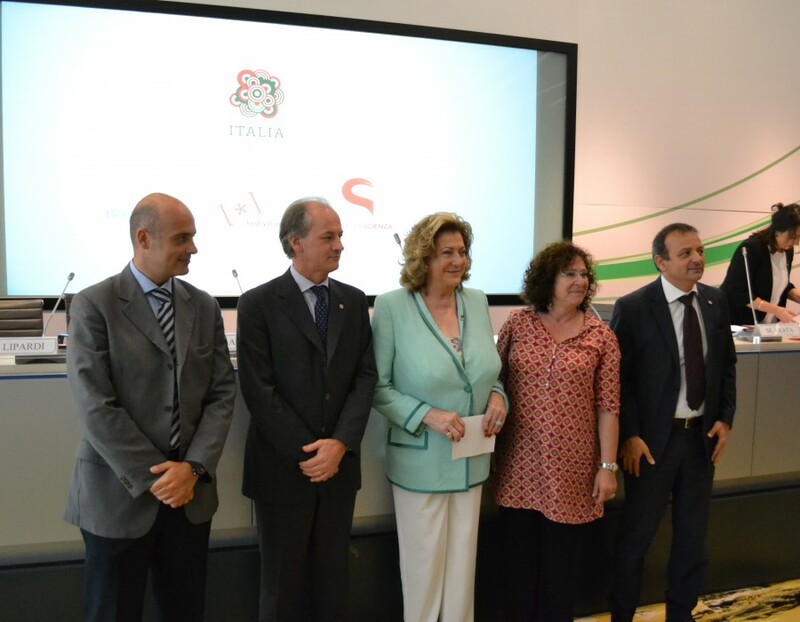 The aim is to get together, for the first time, for a special occasion: the 2015 Milan Expo dedicated to the theme “Feeding the Planet: Energy for Life”. 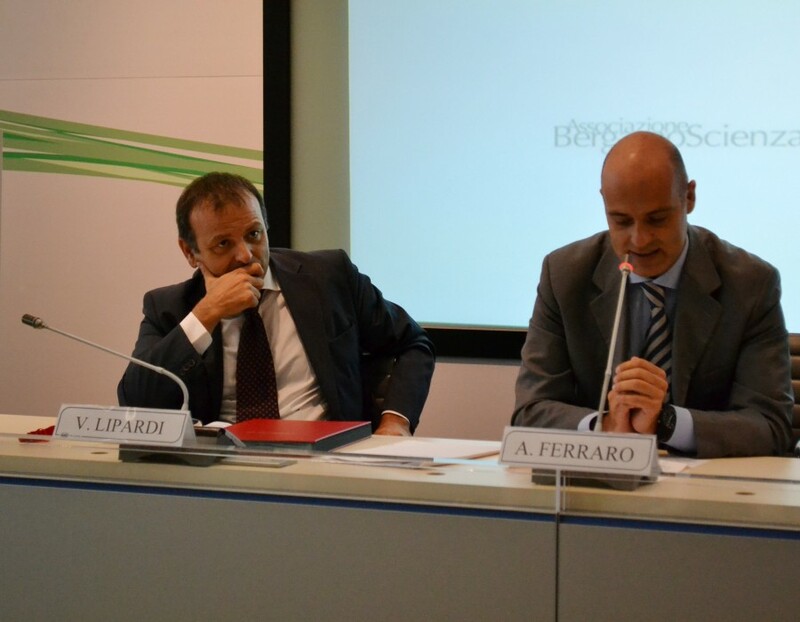 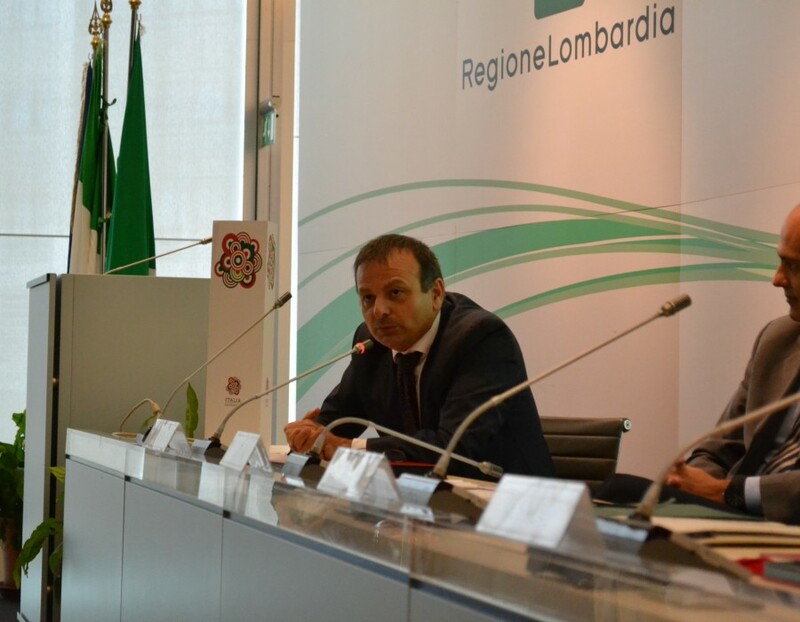 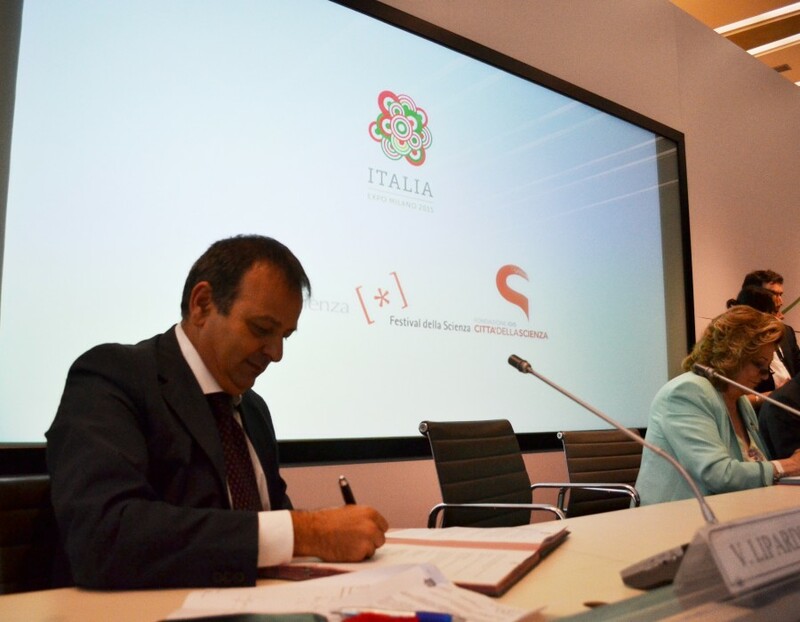 Scientific events born from this agreement will be hosted within the Italian Pavilion of Expo. 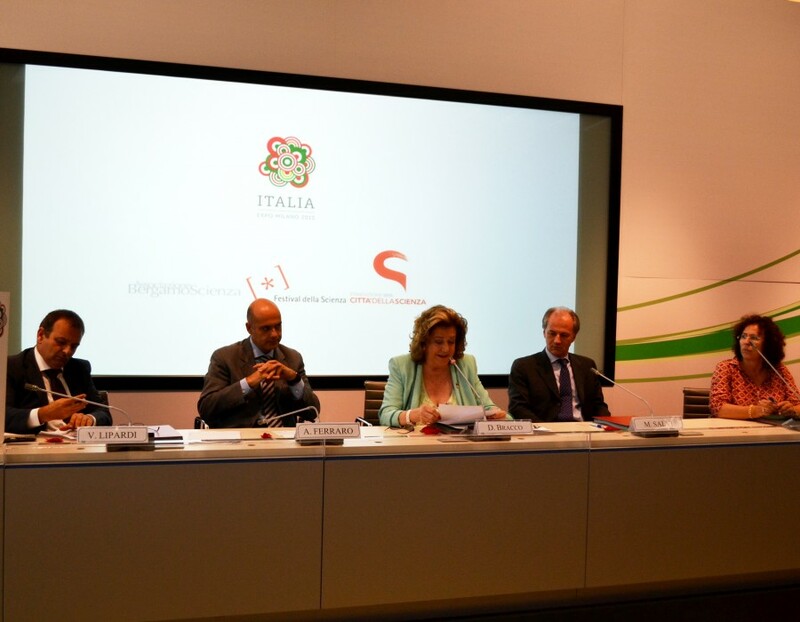 “This partnership significantly enhances our program of events related to the topics of nutrition and sustainability”, says Italian Pavillion’s Commissioner Diana Bracco: “For our Pavilion the collaboration with the scientific community, research institutes and training institutions that are concerned with the promotion of cultural and scientific excellence is a crucial element”. 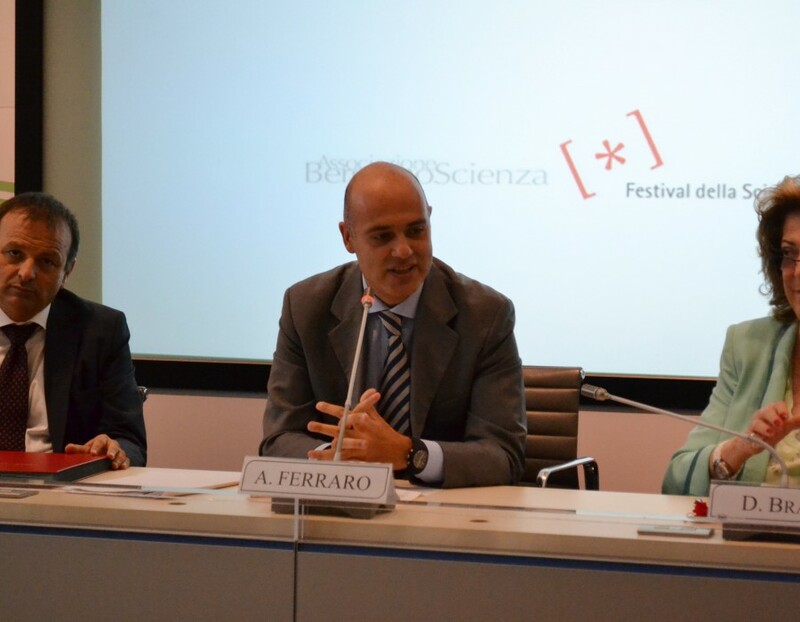 Through the Memorandum, Città della Scienza, BergamoScienza and Science Festival of Genoa undertake to carry out a common work aimed at spreading, in science and beyond, the Expo’s theme. 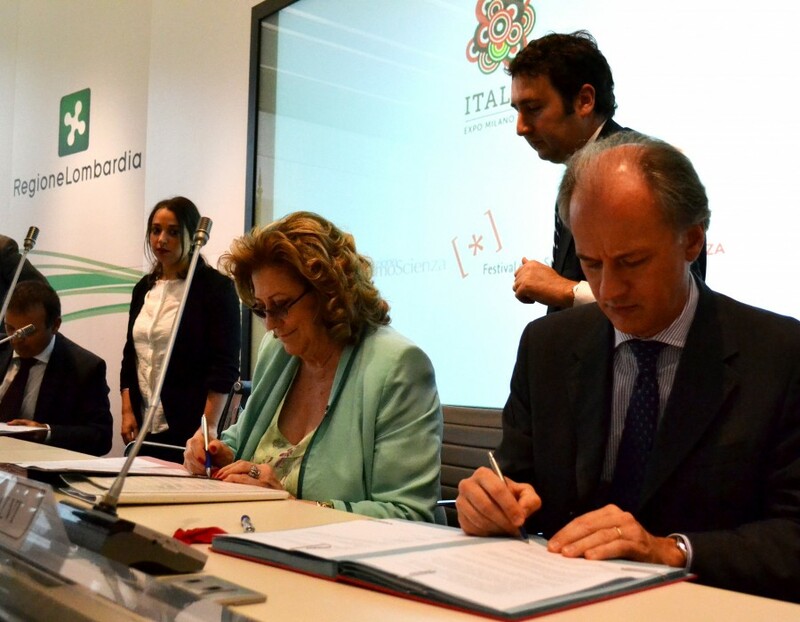 This work will culminate in the science events, expositions and shows organized in the Italian Pavilion, concerning open questions such as the right to a healthy, safe and adeguate nutrition for the entire planet, the sustainability, accessibility and equitable distribution of food, energy and water.